San Diego has dethroned San Francisco as the greenest U.S. city in 2018, while the latter fell to second place. San Francisco has the nation’s highest concentration of farmers’ markets per capita and the second-highest bicycle-friendliness rating. Irvine, San Jose, Fremont, and Sacramento also count among the nation’s 10 most environmentally conscious cities. For the second year in a row, most of the greenest cities in the U.S. are in California, again reflecting residents’ environmentally conscious natures. That’s according to WalletHub’s latest annual list of America’s greenest cities, which ranks 100 communities on a 100-point scale based on four major gauges: environmental quality, transportation, energy sources, and lifestyle and policies. The 29 smaller criteria used to identify the greenest locales include air quality, walkability and bike-friendliness, share of electricity generated by renewable sources, and number of farmers’ markets per capita. For the past two years, San Francisco topped WalletHub’s ranking of the greenest U.S. cities, but this year the city dropped to the No. 2 position, with an overall score of 72.14. San Diego narrowly edged out San Francisco to top the list with a score of 72.53 after finishing second last year. 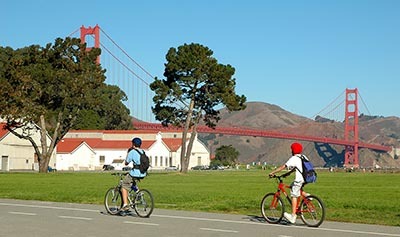 San Francisco ranks second in the U.S. in the overall environmentally friendly policy and lifestyle category. The city ties Honolulu for the highest concentration of farmers’ market per person, with San Diego also ranking in the top five for that measure of greenness. Those two cities have more than 60 times the amount of farmer’s markets per capita than the U.S. cities with the least access to fresh produce. WalletHub also applauds San Franciscans for their environmentally conscious transportation methods. The city has the second-highest Bike Score in the country behind Minneapolis and also ranks in the top five for the fewest number of workers who drive to the office. The other California cities to count among America’s greenest: Irvine (No. 4), San Jose (No. 5), Fremont (No. 7), and Sacramento (No. 9). All four of those cities made the top 10 in WalletHub’s 2017 list, while Oakland dropped to the No. 11 position this year. Fremont, which ranked No. 3 overall on last year’s list, ties two other cities for the nation’s highest percentage of green space in 2018. The Alameda County city also ties for the No. 1 spot in the U.S. for energy sources (along with Oakland, Irvine, and a number of other Golden State cities) and ranks No. 2 for the quality of the environment.